Safe for your car, safe for you, and safe for the environment! 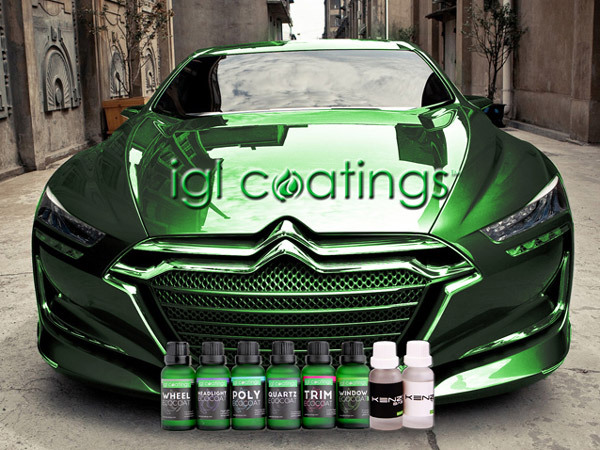 When IGL was first created, it was founded on the premise that high-quality, professional grade car care products and eco-friendly car care products were not mutually exclusive. Each product that IGL formulates, tests, and manufactures is designed to maximize effectiveness while also maximizing both the user’s health and the environment’s health. Every proprietary formula IGL creates contains little to no VOCs (Volatile Organic Compounds) that are often used in car care products and have been proven dangerous to the environment and our health. IGL never lets this focus on safety and health impact the effectiveness of the products they produce. IGL produces their products for use by professional detailers, so the results their product provide need to be of the highest tier. With more than 1000 IGL certified detailers across 52 countries, you can be sure that IGL as brand is trusted around the world by capable professionals! IGL is putting the “care” in “car care”! IGL EcoCoat Bike 10 ml. - FREE With Orders IGL Orders over $125! IGL EcoCoat BBQ 10 ml. - FREE With Orders over $150! IGL Ecocoat Leather Kit 30 ml. IGL Ecocoat Headlight Kit 30 ml.